Lumifolia is an interactive garden questioning our relationships with plants and the environment in an artistic, sensitive and musical way. The leaves of the tree react to human touch with sounds and lights. The plants wake up with the touch and the subtle electrostatic influence of the human body: thanks to the interaction with the public. Like a breath, a soft halo of light twinkles next to the tree. When stroked by somebody, the closer the person is, the brighter the light is. 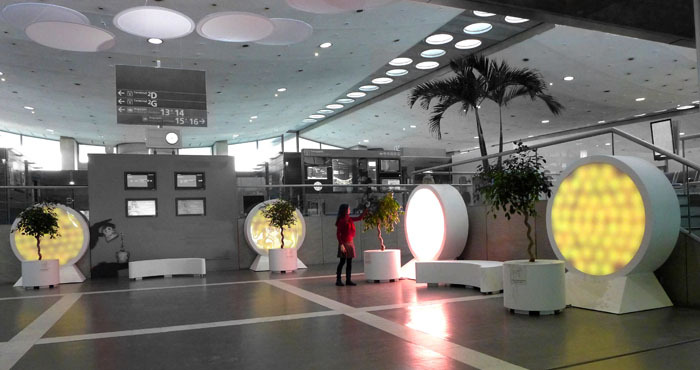 This artwork was exhibited at the airport Paris Roissy Charles de Gaulle from dec 2012 to dec 2015. 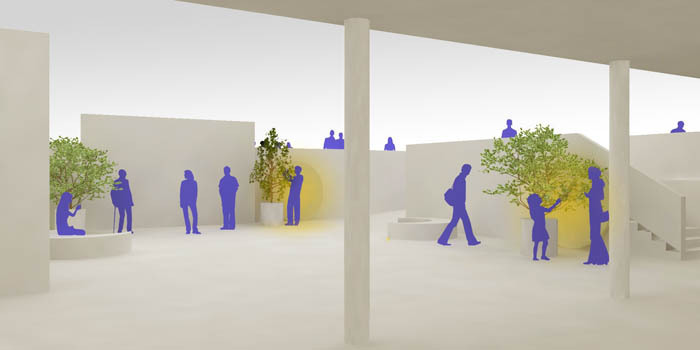 The LumiVille Trophies of the design light is a European contest aiming to reward and to distinguish the originators and creators in the lighting field. Its objective is to reward the originators-authors of singular settings in light for their conceptual and artistic side, their aesthetic aspect, and a innovating technology.